Come to .PENUMBRA. 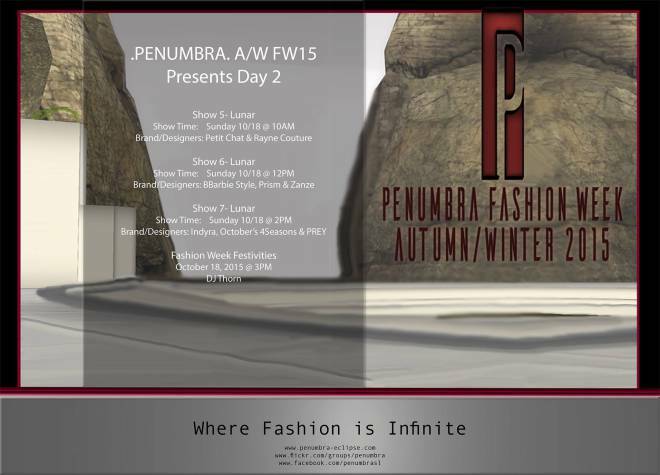 AWFW 15′ and check out the hottest, never before seen designs of over 50 of second life’s most talented designers. With shops catering to men, women, fantasy, formal. and for the first time CHILDREN, there is bound to be something for everyone! Don’t miss the most anticipated Fashion Event of the year!! !